Second only to Philadelphia, the site which the Founder selected for the capital of his Quaker Commonwealth, the town of Reading on the Schuylkill is most closely identified in its foundation and early career with the proprietorial family. It was fitting and inevitable that a new Reading in Berks should arise overseas since the Penn family traditions had so long been interwoven with those of the older Berkshire. Admiral Penn, creator of the family fortune lived there. William Penn, from his Manor of Ruscomb often visited the neighboring market-town of Reading. In his dying moments he directed that he be borne once more to Reading Meeting to deliver a last pathetic “sound and savory expression”. And yet if a monument were to be erected in our Reading it would more appropriately commemorate the connections of Thomas Penn rather than those of his distinguished father. 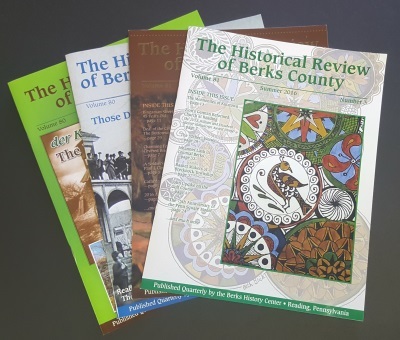 There was no Reading in Pennsylvania when William Penn made his one alleged trip into the territory now embodied in lower Berks County. No details of this journey are available. Despite the fact that it is commemorated by a monument, the proof adduced is scarcely such as to satisfy a scrupulous historian that the Founder ever came into our district. Thomas Penn’s connections with Reading and Berks are more certain and extensive. He came upon the site of the future city when it was encumbered only by the lonely cabin of the Widow Finney. As Proprietorial Land Agent he examined the land and noted its advantages as a county seat. The date of this visit was 1739 and he speaks often of his hopes to revisit the location. And yet, although he lived for nearly forty years thereafter, he did not return. Nevertheless, the knowledge he gained on this one visit was of great value to him when he later drafted the town plan of Reading. For Reading owes to Thomas Penn a debt of gratitude which no memorial can adequately repay. Through his influence the new county was erected and he indicated the border lines. He selected the site for the county seat and gave it its name. He inspected and revised the various plans for the lay-out of the streets and gave sage counsel for the conservation of the natural public utilities. 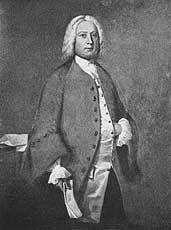 After he left the colony, in 1742, he addressed to his surveyors and land agents in Berks County a mass of correspondence containing directions and suggestions as to the acquisition of adjoining lands, the sale of lots, the nomenclature of the streets and the organization of a primitive officialdom. He never came back to Reading, but no citizen of Reading can think without a quickening pulse of appreciation of the shy, kindly man, toiling in his cabinet at Westminster over the voluminous directions for the town whose interest tugged so closely at his heart strings. This article appeared in The Historical Review of Berks County, October 1944.